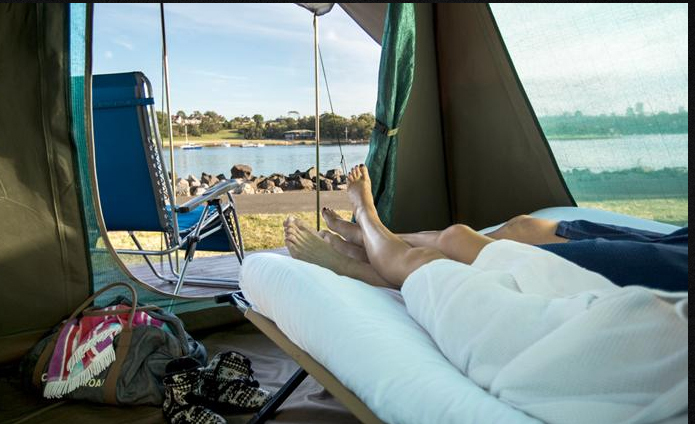 Camp on an island smack bang in the middle of Sydney Harbour for just $45. 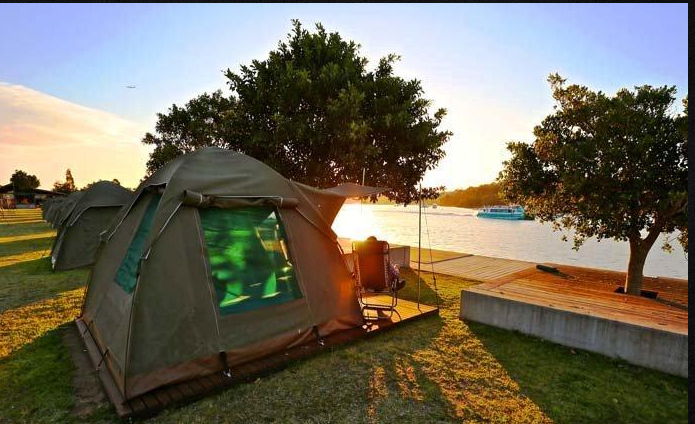 Beach camp for $32 or in a riverside haven of bush and wildlife a short drive from the heart of Sydney for $37. You don’t need a big budget to enjoy the best of Sydney. 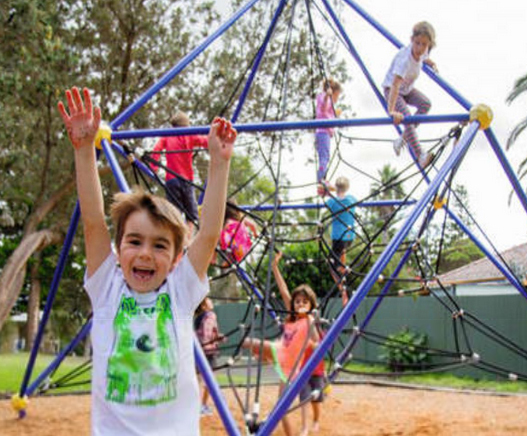 Here are the top 7 campsites and caravan parks in and around Sydney. Three are for tents only, four are camper van and caravan friendly. I have given distances from the heart of Sydney – Circular Quay. Drive times are given without traffic, which is laughable really. Sydney always has traffic. What’s more, parking in Sydney can be expensive. Take public transport if you can. Here is the list in order of their distance from Circular Quay. I’ve mapped them all at the bottom of the blog. Distance from Circular Quay: 26 mins by ferry. Cockatoo Island is a UNESCO world-heritage listed island right int he middle of Sydney Harbour. There are heritage buildings to explore, netted swimming areas, picnic areas, BBQs, three places to eat and a bar. Some of the campsites have views of the harbour bridge. Camp kitchen with fridge and microwave and plenty of sinks. To make life easy you can buy breakfast and BBQ packs on the island if you wish. Distance from Circular Quay: 18 mins by car, 43 mins by train. Set in natural bush, this is a haven of tranquility in the city. It scores 4 out of 5 on Trip Advisor, is by a river, and is within easy walk of the nearest train station. It is campervan friendly. This is as close as you’ll get to the heart of Sydney in a campervan and it’s a great place to base yourself when exploring the city and surrounds. Camp kitchen with instant hot water on tap, fridge, gas cooking, microwave and toaster. RATES: $37 – $39 for 2 people. It is in a national park, so park entry fees apply. Lane Cove River Tourist Park, Sydney. Photo: National Parks NSW. Distance from Circular Quay: 37 mins by car without traffic, 1 hr by public transport. 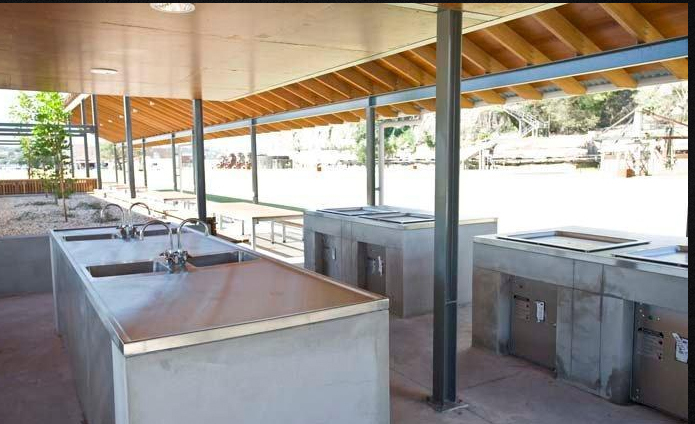 This is a BIG4 and NRMA holiday park, which means it’s family friendly with plenty of facilities. 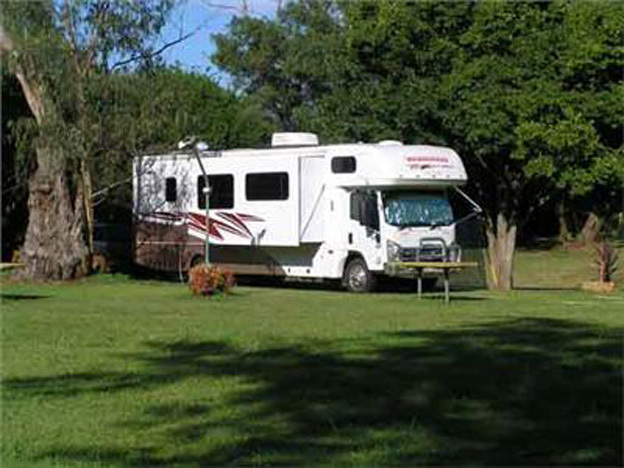 You park your campervan in a large grassy area with other campervans and caravans. It has about as much charm as a football field but the coastal location makes up for it. Distance from Circular Quay: 50 mins drive without traffic. 1 hr 20 mins on the train. 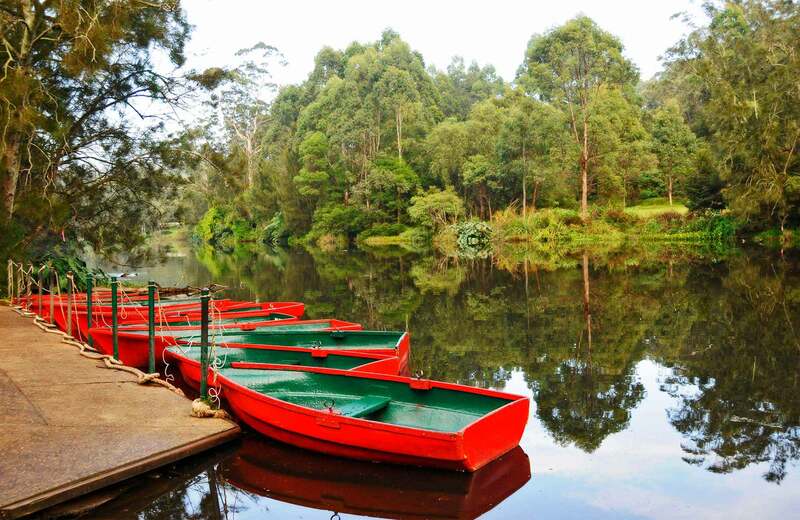 Nestled in the Berowra Valley National Park, this campsite is peaceful, but has no showers or power. The nearest train station is a ten minute drive away. RATES: $24 for 2 people. Distance from Circular Quay: 1 hr drive plus a ferry ride to Palm Beach, 1.5 hrs by public transport. 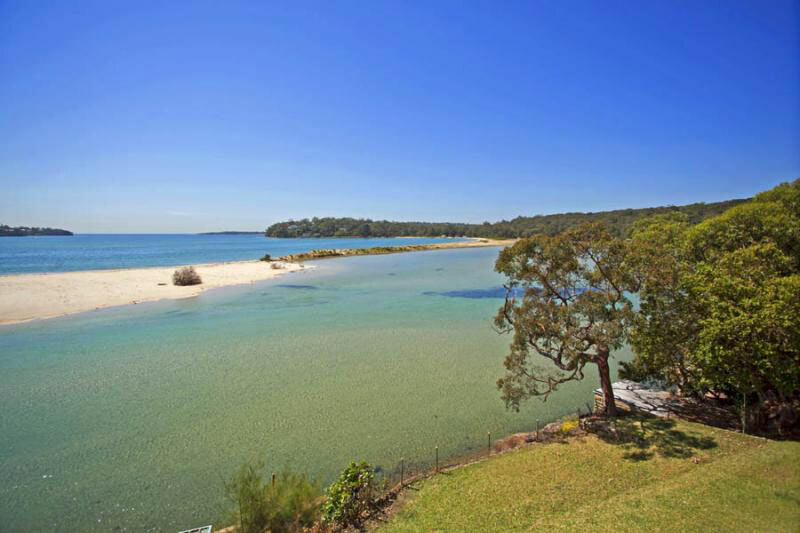 Located in Ku-ring-gai Chase National Park, on the shores of Pittwater, this scores ten out of ten for beauty. There is a sheltered beach and an inland lagoon for swimming in. Sites are shady. It is not a drive up campground. If entering via the Ku-ring-gai Chase National Park you must park your car and walk or cycle 2.8km down a track, or from Palm Beach catch a ferry across Pittwater. Distance from Circular Quay: 1 hr drive, 1 hr 50 min by public transport. 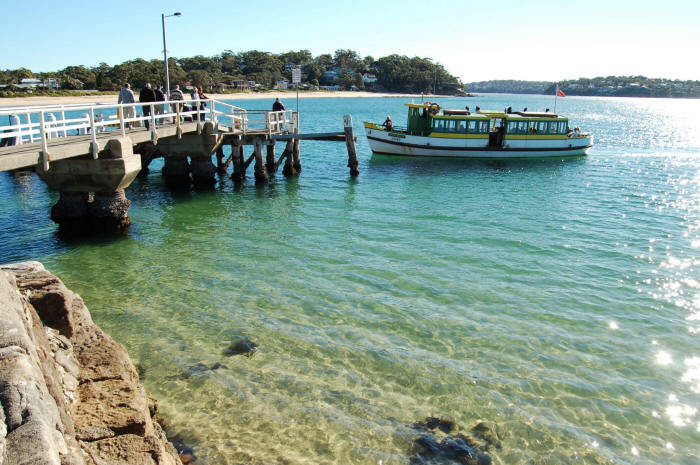 Bonnie Vale campground is on the banks of the beautiful Port Hacking surrounded by the Royal National Park. There is a seemingly endless choice of hikes and on weekends you can hire kayaks and mess about on the river. A large sand spit makes swimming in the bay sheltered and safe. The bay at Bonnie Vale Campground. Distance from Circular Quay: 1 hr drive, 1 hr 40 min by public transport. Poplar is by a river in the historic town of Camden, south west of Sydney. It scores 4.5 stars on Trip Advisor and the site has shade trees. Public transport is at your front door and you are within easy access of restaurants and shops. If you are planning to explore Australia in a campervan, check out my campervan rental price comparison. Sometimes the cheapest quote has creeping fees that end up costing you more than any other campervan rentals. I found that the cheapest all-inclusive quote is Camperman Australia. You can hire a campervan from Sydney and drop it off at another depot in Melbourne, Adelaide, the Gold Coast, Brisbane, Airlie Beach, Townsville or Cairns at the end of your journey. Number five would be my choice. It has all the stuff needed and at the same time it has its fun and more views especially the kangaroo at the picture. I am actually fond of nature and wildlife.